The University of Illinois Springfield Visual Arts Gallery is pleased to present “Leaving Loves Company” from renowned Arizona-based artist Angela Ellsworth. “Leaving Loves Company” will open on Thursday, March 1, and run through Thursday, April 12, 2018. A reception for the exhibit will take place on Thursday, March 1, from 5:30 to 8 p.m. at the Visual Arts Gallery. Angela Ellsworth is a multidisciplinary artist. A direct descendant of Lorenzo Snow, the fifth President of The Church of Jesus Christ of Latter-day Saints, she looks to her former Mormon heritage in re-creating histories, both personal and cultural. She is a self-identified queer artist and feminist that lends a strong female perspective, and frequently employs traditional craft practices in the fabrication of her object-based works. 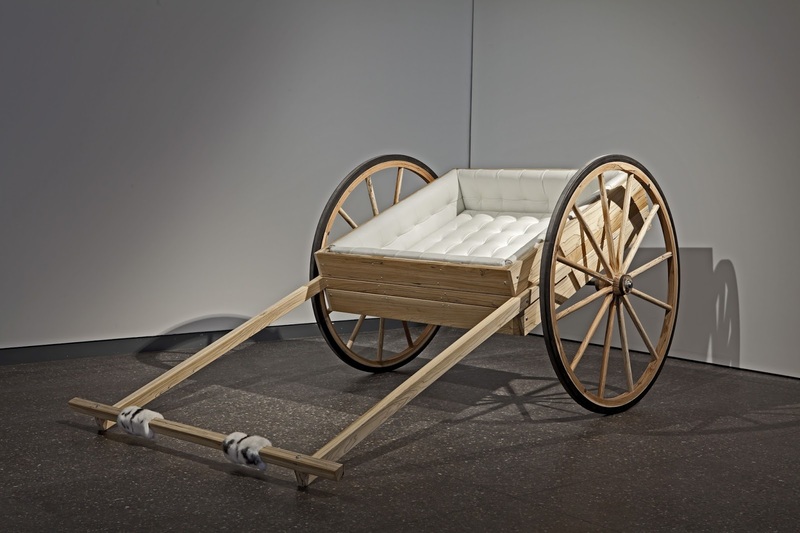 “Leaving Loves Company” will feature several works by the artist, among them the exhibition namesake, Leaving Loves Company: a stunning hand cart replica, modeled on the hand-drawn carts used during the Mormon western migration. Appearing completely immaculate and potentially otherworldly, this object defies function. The interior is carefully lined with white leather with rabbit fur details. Close inspection reveals that the woodgrain texture that covers the massive cart has been meticulously hand drawn in graphite -- by the artist. Angela Ellsworth is an associate professor in the School of Art at the Herberger Institute for Design and the Arts at Arizona State University. Her work has been reviewed in Art News, Fiber Arts, Landscape Architecture Magazine, Canadian Art, Frieze Art, Artforum and Performance Research. She has presented work nationally and internationally including the Getty Center (Los Angeles), Museum of Contemporary Art (Sydney, Australia), Zacheta National Gallery of Art (Warsaw, Poland), National Review of Live Art (Glasgow, Scotland), Los Angeles Contemporary Exhibitions (Los Angeles), Crystal Bridges (Bentonville, Arkansas), Museum of Contemporary Art (Denver, Colorado), Scottsdale Museum of Contemporary Art (Scottsdale, Arizona), and Phoenix Art Museum (Phoenix, Arizona). Ellsworth has received awards and grants from several organizations including: Art Matters, Franklin Furnace, New Jersey State Council on the Arts, Inter-Arts Program of the NEA, The Rockefeller Foundation, The Pennsylvania Council for the Arts, New Forms Regional Initiative Grant, Mexic-Arte Museum and Diverse Works, funded by The Andy Warhol Foundation and The Rockefeller Foundation. She is represented by the Lisa Sette Gallery in Phoenix, Arizona. WHAT: The University of Illinois Springfield Engaged Citizenship Common Experience (ECCE) Speaker Series presents a lecture on “Black Children in Hollywood Cinema” by Debbie Olson, Ph.D., an assistant professor of English at Missouri Valley College. The event is free and open to the public. WHEN: Tuesday, March 6, 2018, at 4 p.m. DETAILS: The lecture will examine the relationship between how African American children are depicted in popular media and how black children in the United States are often considered prone to violence and criminality. The talk will address the significance of the image of the black child to the current cultural construction of childhood in popular media and explore how such image affirms or subverts popular notions of childhood in contemporary America. Olson will also discuss whether black “gangsta” images help inform cultural perceptions of black children and whether historical images of the African child inform those of the African American child. Olson’s research interests include images of African/African American children in films and television, critical race theory, cultural studies, and children in new Hollywood film. Her books include “Lost and Othered Children in Contemporary Cinema” (Lexington 2012), “Portrayals of Children in Popular Culture: Fleeting Images” (Lexington 2013), “The Child in the Films of Alfred Hitchcock” (Palgrave 2014) and “The Child in Post-Apocalyptic Cinema” (Lexington 2015). 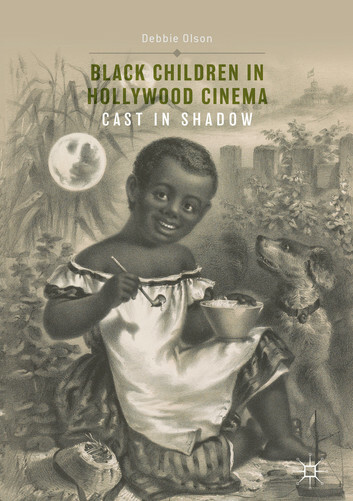 Her monograph, “The Black Child in Hollywood Cinema: Cast in Shadow” (Palgrave 2017) examines the black child in popular Hollywood cinema. Individuals with disabilities who anticipate the need for accommodations should contact the UIS Speaker Series Office at 217/206-8507 or speakerseries@uis.edu in advance. For a list of other upcoming ECCE Speaker Series events, visit www.uis.edu/speakerseries/. UIS Speaker Series presents a simulation showing the path to immigrating to the U.S.
WHAT: The University of Illinois Springfield Engaged Citizenship Common Experience (ECCE) Speaker Series will present an immigration simulation led by UIS Assistant Professor of Legal Studies Anette Sikka called “Welcome to America,” exploring the path to immigrating to the U.S. WHEN: Thursday, March 1, 2018, at 5:30 p.m. DETAILS: Step into the shoes of an individual seeking to immigrate to the U.S. and explore how U.S. immigration works. This simulation gives you a chance to “get in line” to come to the U.S. to work, as a student, or just to visit and see the world's biggest cheeseburger with your friends. Sikka will touch on how the Diversity Visa (Green Card Lottery) program was actually started to help undocumented Irish people living in the United States become legal, how the U.S. issued green cards to nearly 1 million applicants last year out of the 6 million who applied and how more than half of the people living in the U.S. who are undocumented first entered the U.S. legally. Sikka completed her J.D. at Dalhousie University in Canada in 2001 and her Ph.D. from the University of Ottawa in 2014. 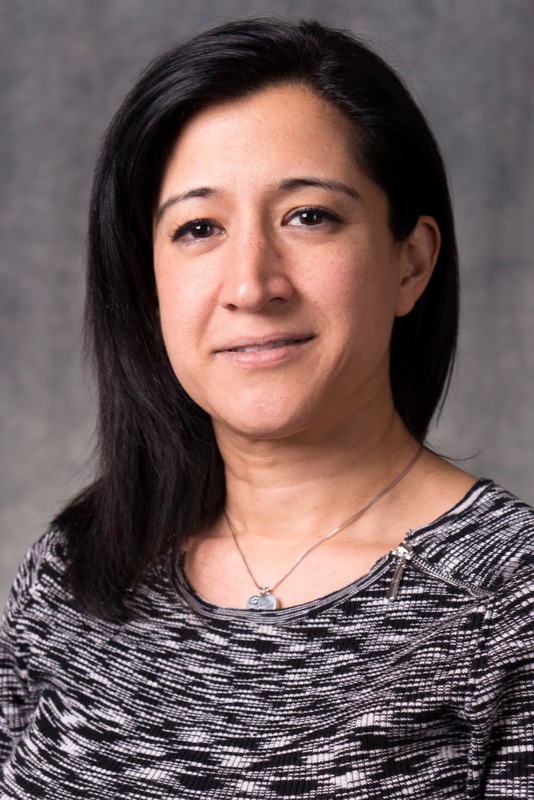 Her research focuses on immigration reform and criminal justice, race/class/gender, security sector reform, and international rule of law programming. Sikka worked for the United Nations in Bosnia and Kosovo from 2001 until 2006 and since 2007 as an international consultant on security sector reform and refugee issues in places such as Iraq and Afghanistan. UIS Lunch & Learn Series presents "Celebrating Culture and History"
WHAT: The University of Illinois Springfield’s Office of Advancement, Alumni SAGE Society, Chancellor’s Office and the Illinois State Historical Society presents “Celebrating Culture and History” as part of the Lunch and Learn Series. WHEN: Tuesday, February 27, 2018, from 11:30 a.m. to 1:30 p.m. The cost for the hot buffet lunch and program is $23/per person. Reservations are requested, as seating is limited. The registration deadline is one week prior to each event. A discounted series subscription is available for $60/per person. Other upcoming Lunch & Learn events include “Rochester and The State Capitol” on March 29 and “From Prairie to Sustainable U” on May 2. These lunch-time programs will stimulate thinking as they build upon the University’s tradition of open and intelligent dialogue. 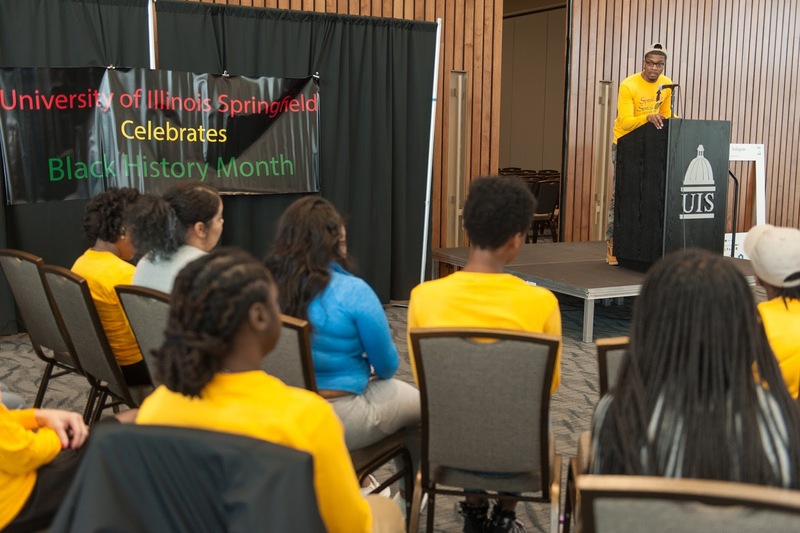 The University of Illinois Springfield will celebrate Black History Month in February with a variety of events designed to educate and raise awareness. The theme of this year’s celebration is “Speak Up, Speak Out.” The following events are free and open to the public or are open to Lincoln Land Community College students, as noted in each individual event entry below. Students and community members are invited to participate in a Candle Light Vigil honoring the life of anyone who they have lost. Participants are encouraged to light a candle and say a few remarks for that special person. The vigil will start at 10 a.m. in the UIS Student Union. This event is free and open to the public. Join UIS as we celebrate the accomplishments of those being inducted into the Black Male Collegiate Society. Hear from various Black Male Collegiate Society members and newly inducted members on their journey from maleness to manhood. This event is from 2 to 6 p.m. in the Student Union Ballroom. This event is free and open to the public. Enjoy a movie on the topic of Black Love and stay for a discussion. Lincoln Land Community College students are welcome to attend. This event will be held in the Lincoln Residence Hall Great Room from 7 to 9 p.m.
Local high school students (juniors and seniors) are invited to partake in a campus visit where they will have a chance to interact, learn and socialize with many current African American student leaders at UIS. There will be a chance to learn more about the importance of Greek Life and witness a special presentation. This event will be held in the Student Union Ballroom from 4 to 6 p.m. This event is open to local high school students. The Soul Food Festival will serve to educate, entertain, and unite students. In addition to the great soul food, there will be a fashion show for participants to enjoy with small dance performances throughout. Food will be catered by Nickey’s Place. This event will take place from 7 to 9 p.m. in the Public Affairs Center, lower level concourse. This event is free and open to the public. The Ebony Ball is a chance to appreciate and celebrate the black excellence of our current student leaders. The evening will be filled with education, laughter and positivity. The event is open to all students who believe in leadership and unity. Please take the time to increase the value of our student leaders by rooting them on in celebration this evening. Dress attire is business casual. This year’s theme is “The Harlem Renaissance.” This event will take place in the Student Union Ballroom from 8 p.m. to midnight. Lincoln Land Community College students are welcomed to attend. Put on your Sunday’s best and enjoy an evening of praise and worship brought to you by UIS’ Voices in Praise & Epic Praise student club, accompanied by Clifton Jones. This event will take place starting at 6 p.m. in Brookens Auditorium, located on the lower level of Brookens Library. This event is free and open to the public. For more information on Black History Month events, visit the UIS Diversity Center website at www.uis.edu/diversitycenter/ or contact Justin Rose, Diversity Center student program advisor, at 217/206-6333 or jrose22@uis.edu.